Beyond the limestone mountains rising from Thailand’s Andaman Sea, virgin rainforests, soft sandy beaches and crystal clear waterfalls, a secluded paradise awaits in one of the world’s most enchanting destinations. Phulay Bay, a Ritz-Carlton Reserve offers a hidden retreat, where the charm and natural splendour of Thailand blends into a magical escape steeped in serenity and luxury. 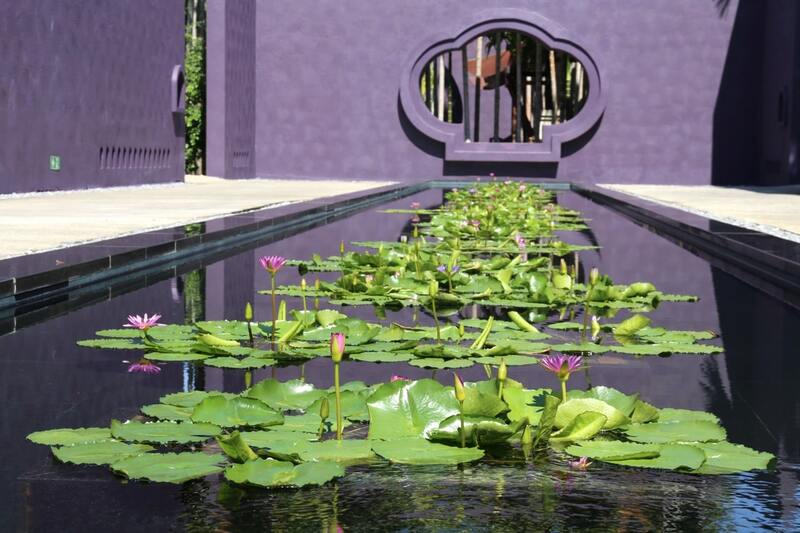 An exhilarating sense of arrival immediately lets guests know they are somewhere special: 20ft high aubergine walls and ‘hedges’ made from indigenous trees create a sense of wonder from the outside and a great sense of peace and stillness once on the inside. 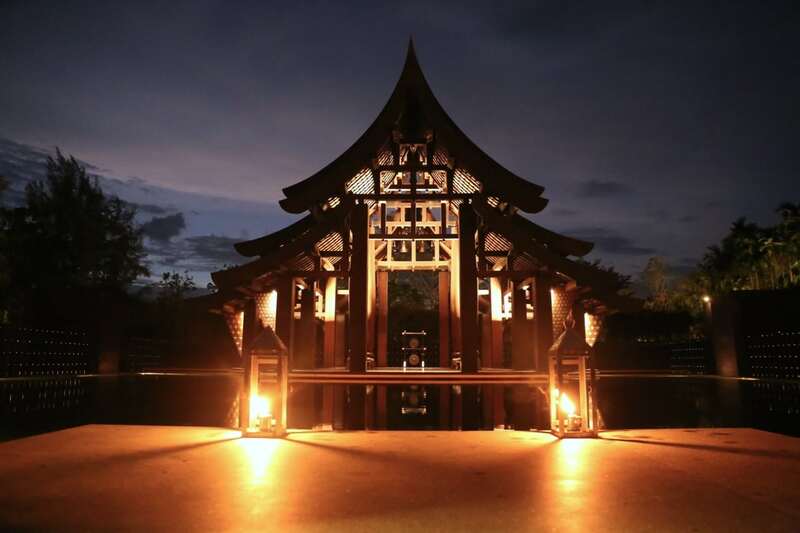 Guests enter the resort through the high walls and walk over a stepping-stone pathway that leads them to a magnificent pitched-roof Thai pavilion situated on an island surrounded by thousands of gently flickering candles. The striking 54-villa and pavilion boutique resort is the vision and work of celebrated Thai architect Lek Bunnag, and is an awe-inspiring combination of modern styling and architecture; grand and oversized in scale with distinctive accents from not only Thai, but Middle Eastern and Moroccan cultures. Phulay Bay welcomes its guests into a peaceful realm of contemporary Thai décor and gracious service in villas offering private tropical garden or ocean views. All accommodations feature modern touches such as flat screen televisions, large indoor baths, spacious walk-in wardrobes and breezy verandas appointed with comfy lounge beds. 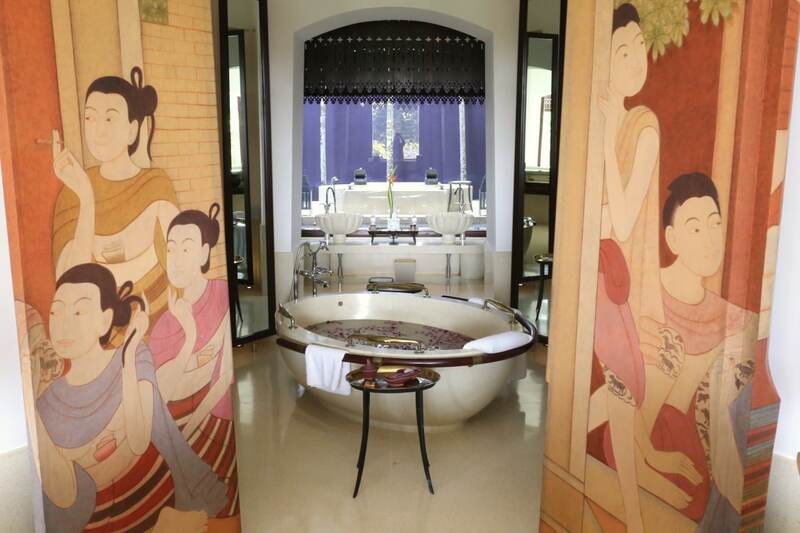 The use of traditional story-telling Lanna art forms both in architectural structure and as paintings and artworks on the walls and doors of villas further stimulates the senses. With 108 square meters of total indoor and outdoor space, the Ocean Pavilion features a sundeck overlooking the sea and a sensuous orchid-shaped bath. 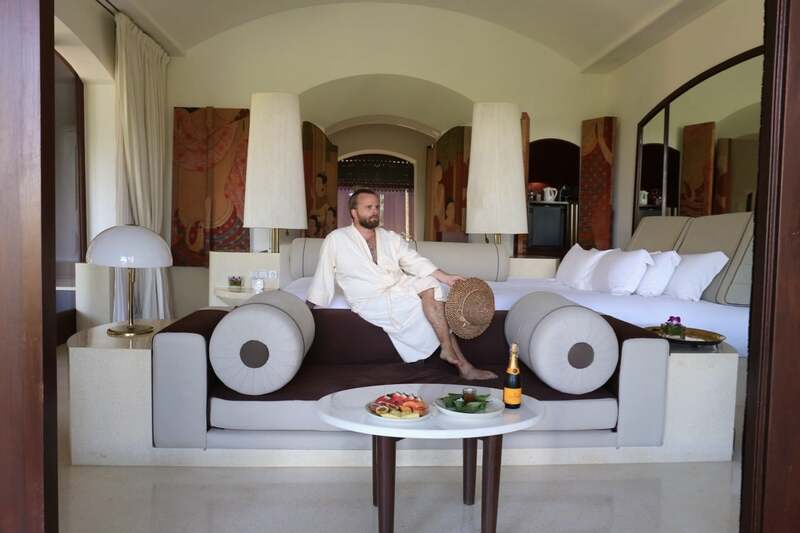 To assure your needs are met, a personal butler is at your service 24 hours a day. Simply ring your butler and they’ll zoom over in a jiffy to pick you up in a limo buggy so you’re never late to enjoy cocktails at sunset or soothing spa treatment. Blending the rhythms of the Andaman Sea with extraordinary spa treatments, Phulay Bay leaves you in a blissful state of relaxation. 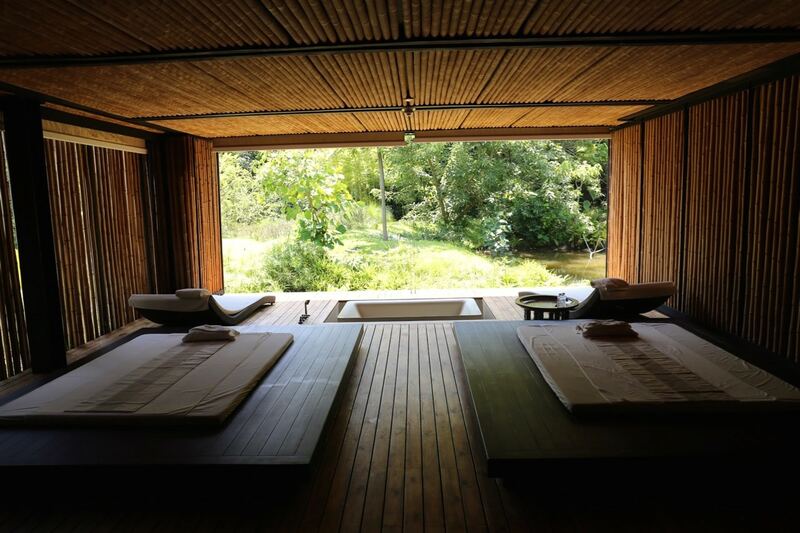 The first destination spa in Thailand managed by the internationally renowned ESPA brand, the spa combines the best of ancient and modern therapies with the finest quality ingredients and a holistic wellness approach. A vitality pool, wellness studio, spacious relaxation areas and a spa café offering a fine selection of local fruits, vegetables, fresh juices and herbal teas complement the rejuvenating spa experience. While Krabi has been enchanting nature lovers for decades, guests at Phulay Bay quickly recognize the resort is a destination all on its own. 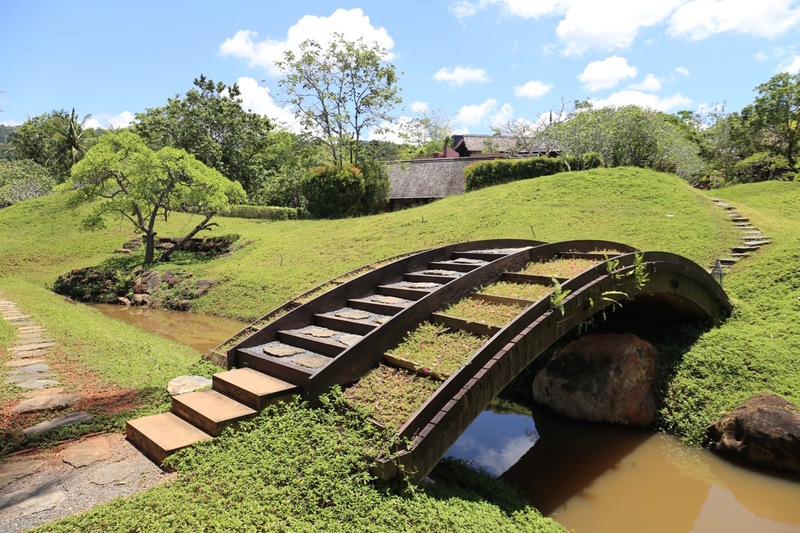 Take a stroll through the lush property and you’ll find frothing fountains, quiet creeks, verdant gardens and gorgeous moss and wildflower flanked bridges which straddle a winding river that splashes into the sea. 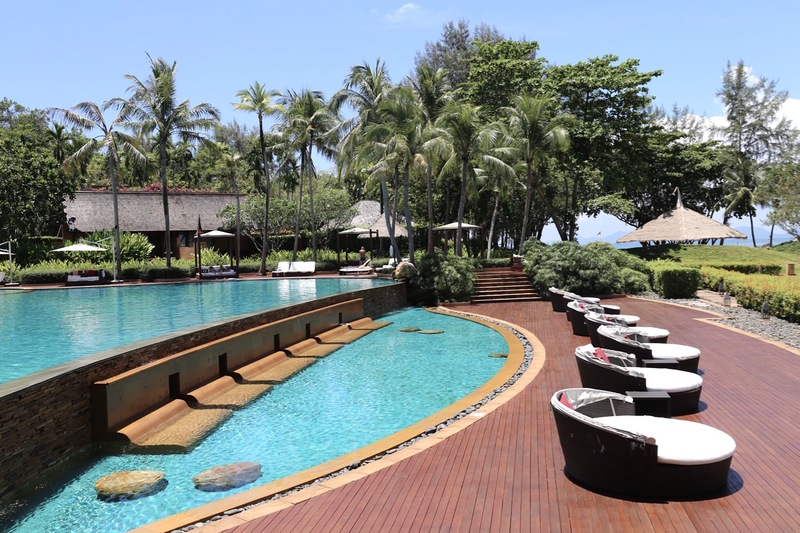 Tan fans find happiness at Phulay Bay’s posh, two-tiered pool which sits perched over Tubkaak Beach. It’s the perfect spot to spend your time during an afternoon heat wave or better yet, camp out for the entire day on a comfy cabana shaded by pretty palms. If you’re feeling peckish whistle at your waiter and enjoy a poolside snack from the East meets West menu at Plai Fah. 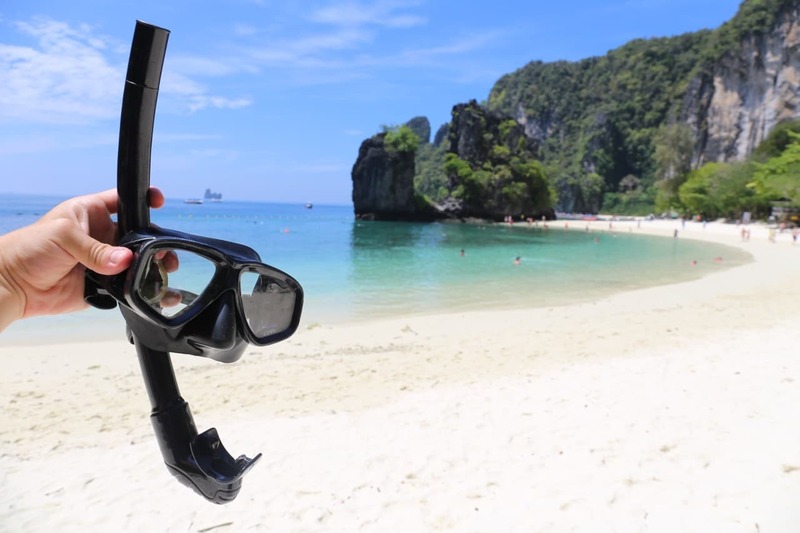 If you’re looking to hop off the resort and explore Krabi’s natural wonders book yourself a private boat tour of Hong Island. The daily tour conveniently departs each morning from the beach in front of the resort’s Chomtawan cocktail lounge. Known locally as Koh Hong, it’s the most famous island in the region protected within Than Bokkhorani National Park. This particular paradise is popular for its white sandy beaches, coral reefs and beautiful caves. 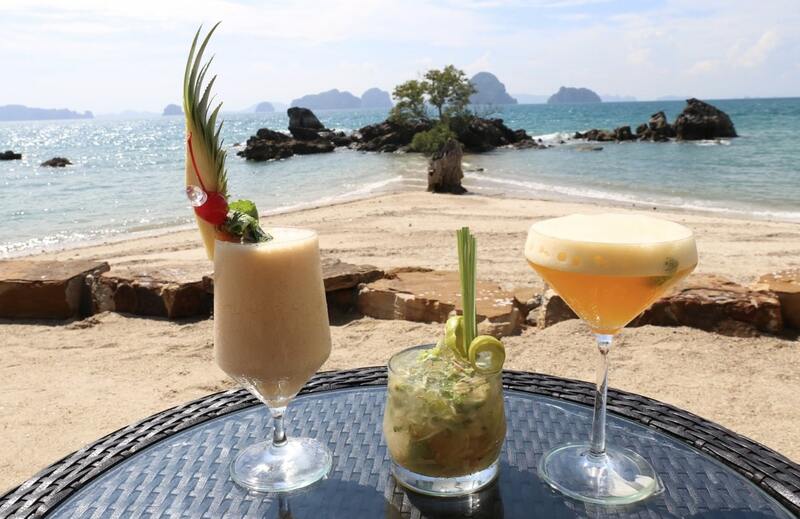 It’s easy to find yourself swept up in the romance of Phulay Bay’s favourite ritual – sunset craft cocktails at Chomtawan. Kick up your feet and enjoy a front row seat. You’ll find a postcard-perfect horizon where Krabi’s scenic islands seem to pop out of the ocean like giants. Let Chomtawan’s cocktail wizards whip up world-class libations featuring top shelf spirits muddled with fresh local flavours as the sun splashes into a dramatic swirl of red, pink and purple. 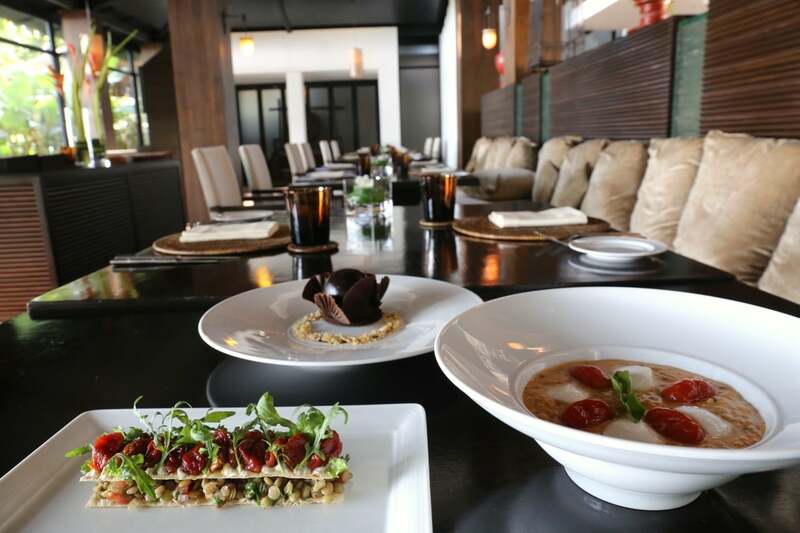 Your best bet for a refined lunch can be found in the delightful air-conditioned Jampoon dining room. The menu here is inspired by the Mediterranean, offering a diverse selection of Western dishes served in an intimate and exclusive setting. Perk up on plush pillows while spooning through creamy Risotto Milanese, layered Cherry Tomato Tomato Crispy Tart and spicy quince slathered Suckling Pig. If you’re looking to indulge in a local taste of place, Sri Trang’s Thai menu offers classic dishes with a modern twist. 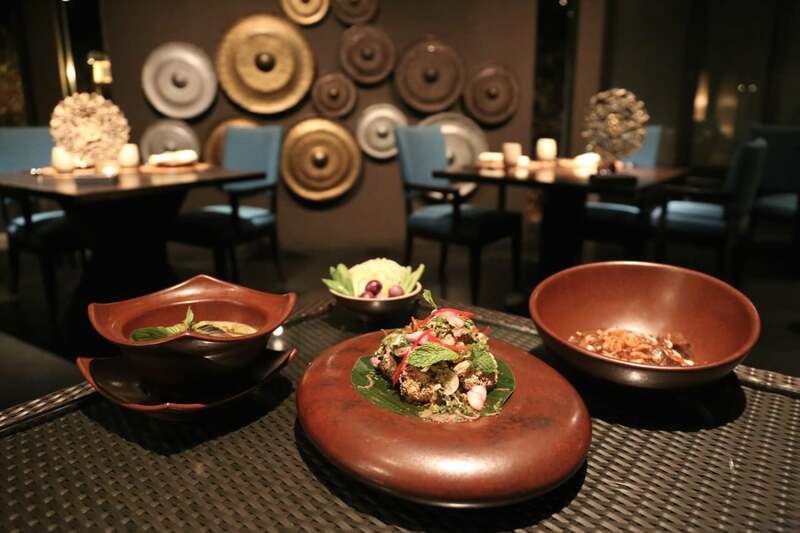 Aromatic entrees are presented on stunning minimalist crockery, offering a stunning stage for each forkful. Highlights include herb muddled Lab Moo Tord (spicy pork patties), creamy Gang Kiew Wan Gai (green chicken curry) and hearty Beef Massaman. 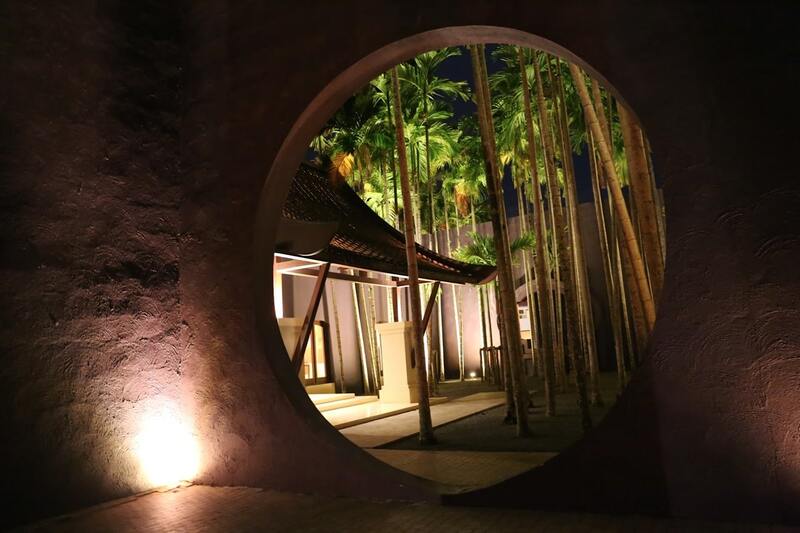 If your sweetheart seriously swoons for seafood, romance your palate at Lae Lay Pavillion. The petite restaurant sits perched over the Andaman Sea and features an al fresco dining room surrounded by a cool pool, lit by exotic Moroccan lamps. The culinary team at Lae Lay specializes in preparing seafood that is delivered fresh daily for a truly local sea-to-table fine dining experience. 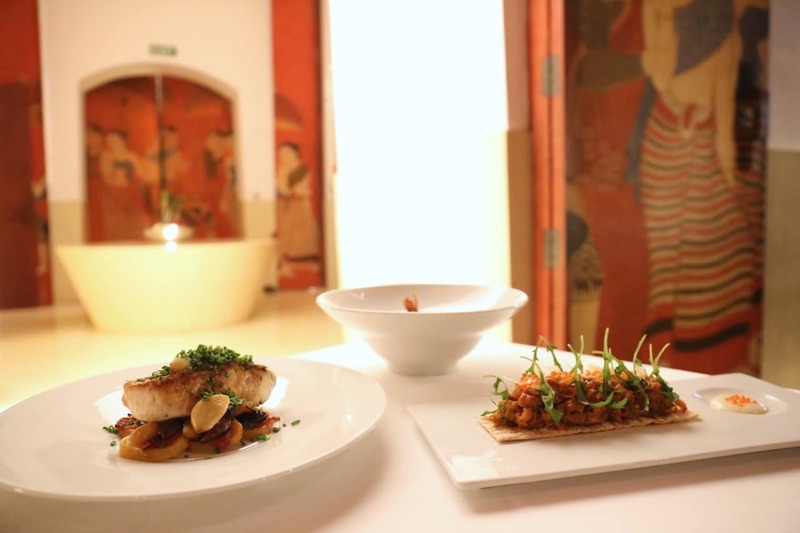 Highlights include Yellowfin Tuna Crispy Tart, Tiger Prawn Seafood Stew Gnocchi and tomato olive adorned Spanish-style Sea Bass.